Are your tyres safe to ride on? Many people don't know that motorcycle tires aren't designed to last as long as car tires. Barring anything obvious like a punctured or damaged tire, the first indication a rider usually gets that his or her tires are in need of replacing is a change in the feel of their rubber on the road or riding surface. Worn-out motorcycle tires will feel sloppier in the corners and lose traction more in twisties that you could get through easily in the past. If you are feeling a difference in the performance of your bike then bring your ride into the team at Sunshine Coast Harley-Davidson®. When you purchase new tyres with us, we will fit and balance them free while you wait! 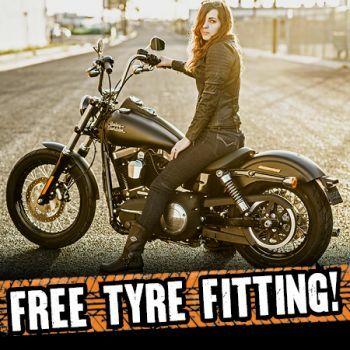 Enquire about new tyres or book your ride in now!